We can work with you on timely activities, menu changes, launches and bespoke events to get LOTI readers into your restaurant. We have partnered with ResDiary to facilitate the booking process, allowing our readers to book right there and then without needing to leave the page. ResDiary is an online booking system, created by hospitality experts for hospitality operators. ResDiary provides lots of ways for venues to gain reservations; through their own portal and ResDiary Now app, and via partnerships with sites like London On The Inside. 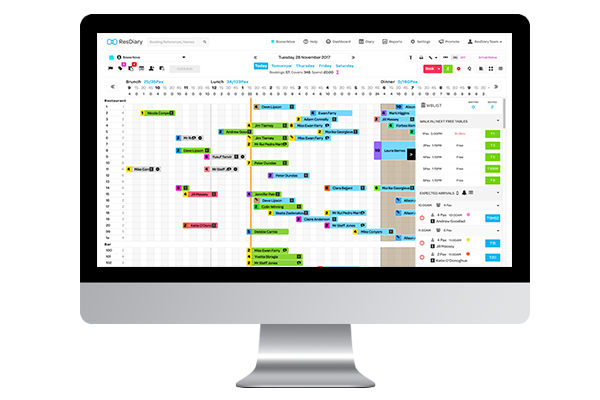 ResDiary is used by thousands of businesses worldwide, and trusted by venues like Osteria Francescana, Bob Bob Ricard, TGI Friday’s, Turtle Bay, and many more, to power and manage their bookings. Thanks to our brand new partnership, ResDiary customers can list on London On The Inside and take bookings which sync directly to their ResDiary system. Thousands of bookings have been generated by this partnership already. Your restaurant could achieve incredible results too. Email Us…let’s make something beautiful.